A master of Business Administration (MBA) degree has long been considered a prestigious and, in some cases, necessary qualification for business leaders. From a potential employer’s perspective, MBA holders are considered more competent due to the programme’s ability to provide candidates with excellent business and operational management skills. However, over the last few decades, MBAs, master’s degrees and even PhDs have become ubiquitous among top professionals since higher education has become more accessible. In addition to an extensively expanding number of universities and institutions that have offered MBA courses in the last 10 years, educational flexibility has also increased, meaning that higher education is available through full-time, part-time or even online programmes. Hence, there has been a large influx of professionals with higher-level qualifications, particularly MBAs. Today, the MBA is no longer unique and has, in fact, become relatively common among senior management. Accordingly, while an MBA is still seen as a valuable qualification, its actual worth has dropped significantly compared to a decade ago. Despite this downside, evidence suggests that MBAs are still relevant in employment. In a survey by GMAC in 2011, 86 per cent of MBA respondents were employed after graduation, and three out of four respondents identified their graduate management degree to be instrumental in their employment. These figures suggest that for the large majority of recipients, the MBA is still a viable tool not only for attaining employment, but for career building as well. On top of this, MBAs are particularly useful for highly skilled technical professionals, such as engineers who are looking to move up and break through the glass ceiling in their jobs. 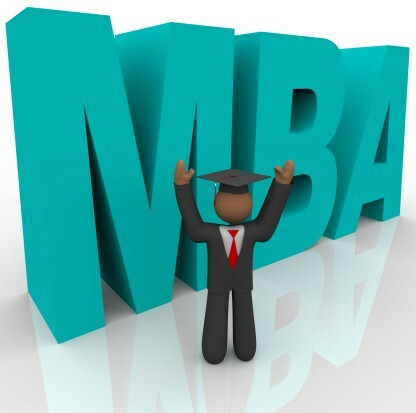 An MBA degree allows candidates to gain managerial experience and knowledge in the finance and accounting sector, which they often do not encounter in their specialised line of work. In addition, a number of top companies, especially in the financial services industry, place heavy emphasis on postgraduate education, and consider an MBA a “minimum requirement” for upward career progression into the ranks of senior executives. This is particularly true for large traditional multinational companies (MNCs) where top-level management are rarely without MBAs. Candidates who are looking to work in developing economies or high-growth markets such as China are also seen to benefit greatly from an MBA since skilled professionals are in high demand. Businessweek reported a double-digit growth in demand for MBA candidates in China, and TopMBA’s Jobs and Salary survey predicted that there would be an increase of job opportunities for MBA candidates by 35 per cent for the 2012–2013 hiring cycle in the region. The same survey also indicated that starting salaries and bonuses at MNCs for MBA professionals in the Asia-Pacific have jumped 20 per cent. Overall, like the university degree, an MBA still holds weight as a useful management qualification despite its ease of access and its prevalence as a standard educational qualification in the world of upper management today. While real practical experience continues to be preferred over educational qualifications, the MBA is rapidly becoming a tick-box on the list of requirements for executive positions. Paradoxically, while the skills taught during an MBA course may not be directly necessary for your career development, the growing necessity for this qualification means that it is still in a professional’s best interests to attain one.